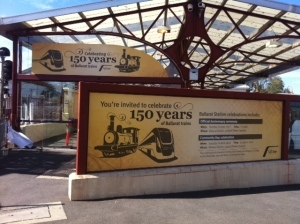 At Barneys Print we are proud to acknowledge we have learnt the sign printing and signage installation business by having such great clients provide us with such diverse sign projects over the years. 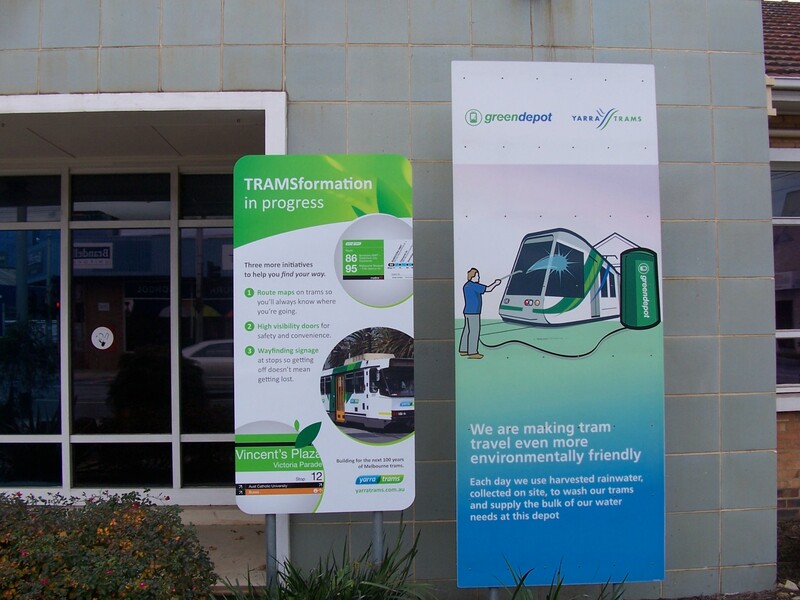 We have built a huge knowledge base for installing complex tram stop decals, decals that cover enormous windows promoting events, temporary signage , special event signs including the Australian open, Midsumma celebrations, Darwin Airport and the Australian Grand Prix. These signs come in a variety of mediums including vinyl banners, corflute signs, window decals, pull up banners, signs on metal, full colour decals, flags, car wraps and more. Often with trade expos or date-specific events our installers work late into the night to get the signs installed on time and then have them taken down after the event has finished. This requires a coordinated effort and our sign installers are the best in the business especially when the pressure is on and there can be no mistakes. For the smaller events we may only need to print and deliver flags, pull up banners, trade table signs or small vinyl banners or corflutes with eyelets. As a sign company we have to provide a multi-faceted service and this is in our sweet spot. Coordinating sign production and sign installation along side other associated printed requirements such as posters, labels, promotional brochures and a wide range of promotional merchandise and corporate branded apparel is how we can help you make your event run smoothly. We also can help with more permanent installation such as building signage on fascia’s, window frosting, way finding signage, reception signs or vehicle wraps. Our signage installation service is a small but important part of our commitment to providing you with a one-stop-shop for all your sign requirements, whether that be wide format digital printing, screen printing, offset printing, flat bed digital printing, roll fed digital printing, pad printing or flexo printing. If you need to launch your new signage with promotional balloons then do check out our sister website Fast Balloons. Call us today on 1300 663 812 and we will provide as much help as you require to make sure your signs, signage printing and sign installation project is a success.